They say the third time is the charm, and that might be true for the book Mastering Mountain Bike Skills. The first two editions set the standard for MTB skills books. The third edition … well … this is a whole new level. If you want to ride like a pro, you should learn from a pro! In Mastering Mountain Bike Skills, Third Edition, world-champion racer Brian Lopes and renowned riding coach Lee McCormack share their elite perspectives, real-life race stories, and their own successful techniques to help riders of all styles and levels build confidence and experience the full exhilliration of the sport. 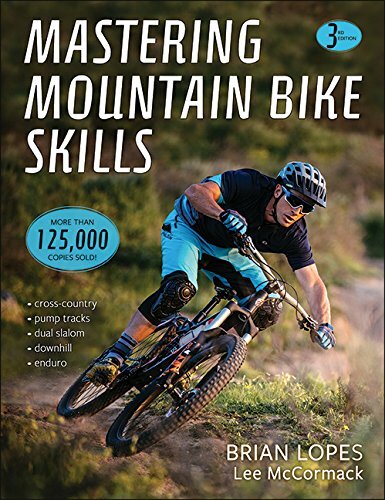 Mastering Mountain Bike Skills is the best-selling guide for all mountain biking disciplines, including enduro, pump track racing, dual slalom, downhill, cross-country, fatbiking, and bike parks. It absolutely captures the sport and offers everything you need to maximize performance and excitement on the trail. Learn how to select the proper bike and customize it for your unique riding style. Develop a solid skills base so you can execute techniques with more power and precision. Master the essential techniques to help you carve every corner, nail every jump, and conquer every obstacle in your path. Last, but not least, prepare yourself to handle every type of weather and trail condition that the mountain biking world throws at you. 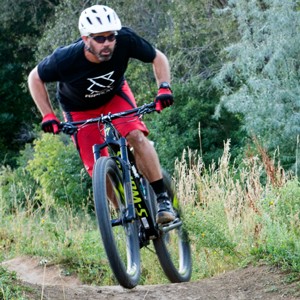 Whether you’re a recreational rider looking to rock the trails with friends, are a seasoned enthusiast, or are aspiring to be a top pro, Mastering Mountain Bike Skills will improve your ride and dust the competition. Don’t just survive the trail — own the trail, and enjoy the thrill of doing it. Available in both print and e-book formats. Price: $24.95 + shipping. Shipping costs $5 within the United States, $35 to other countries. Includes: When you buy a print copy of MMBS3 from this site, you get a discount code for access to the Lee Likes Bikes online MTB school. 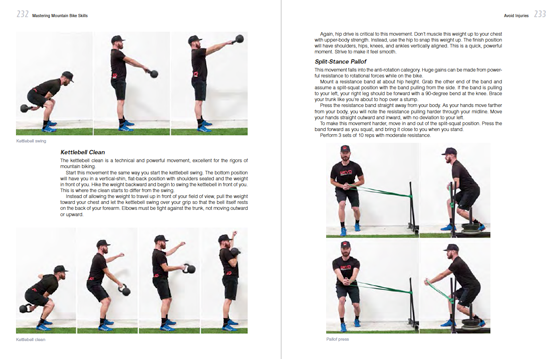 See videos of the skills in the book … and learn even cooler skills! The entire book is improved, refined and expanded. Lee’s been teaching for 12 years, and he’s starting to get really good at it! 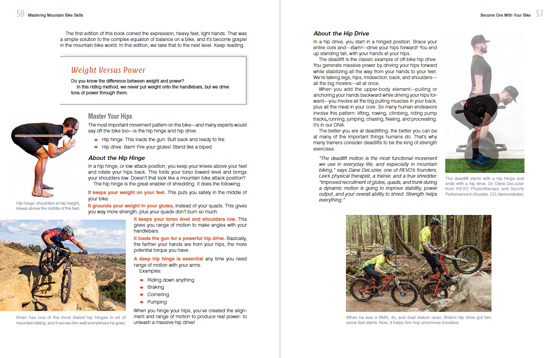 His experience working with more than 6,000 riders of all levels and styles informs every aspect of Mastering Mountain Bike Skills 3rd Edition. At the same time, Brian Lopes is much better at talking about what he does. MMBS2 was good. MMBS3 is a whole new level! • The whole book is infused with deeper experience. • Learn to learn. A philosophical approach to gaining kung fu skills. • Mental skills from Dr. Jason Richardson, a BMX world champion and speaker, trainer and motivator. • Combining basic skills to achieve higher levels of riding. • Discussion of modern bikes, including plus bikes. • Intelligent analysis of various wheel and tires sizes, from regular to fat. • Gain deep mastery of your body, including the essential hip hinge. • Dial in your attack position, then transcend it by learning to ride dynamically. • Learn what to do with your elbows. Sorry, I was wrong about them being out all the time. • Brake with higher power and potentially infinite traction, which means more confidence, safety and speed. • Pedal more smoothly and more powerfully with less effort. Learn the ultimate kung fu pedaling techniques that will making climbing easier, and maybe even fun. These techniques are completely different from the ones in the previous edition. 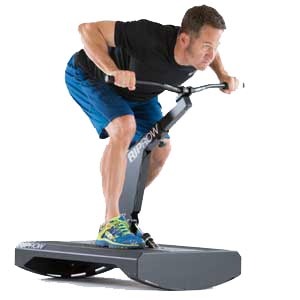 • Generate dynamic traction — while staying perfectly balanced. Awesome for slippery climbs. • Learn how to sprint like a BMXer. Make more power when you need it, and raise your entire power ceiling. • Go beyond the basics of cornering to make every turn smooth, connected and powerful. • Generate speed not only in berms, but in flat turns too. • In turns, understand — finally! — how much to lean your bike vs. your body. The new approach is simple and idiot proof. • Know when to corner with your feet level, outside foot down or with your pedals at an angle. • Master an incredibly simple, universally applicable approach to riding down rocks, ledges and drops. Slow or fast, on the ground or in the air. It’s all the same, and you’ll love it all. Bonus: Rock a wheelie drop! 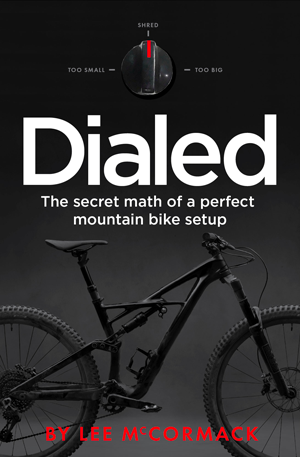 • Master an incredibly simple, universally applicable approach to riding up rocks, roots and ledges. Mellow or steep, grippy or slippery. It’s all the same, and you’ll love it all. • The first edition introduced the idea of pumping terrain for control and speed. The second edition did a better job of teaching pump. The third edition takes pump to the next level. The new techniques are smoother, easier and way more powerful. Pump terrain like top pros. Make the world your very own Sine Wave of Love. • Learn to wheelie, manual and hop in the old ways, then — when you’re ready — step up to the kung fu master ways. Completely new sections teach you how to ride over obstacles in perfect balance and with much more power. When you watch the best riders in the world, this is how they do it. • Dial in your jumping with a simple approach that’s tied to your pumping skills. When you’re ready master the entire continuum from boosting a jump for max air to stay as low as possible. • Are you in danger or just being a wimp? We help you figure that out, and we teach you how to talk with your inner lizard. 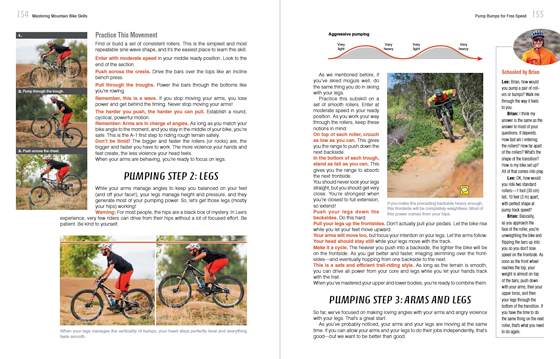 • Top exercises to prevent injury and improve MTB performance, from REVO Physiotherapy and Sports Performance in Boulder, CO.
• Learn to hack your Flow state so you can flow better and more consistently on your rides. 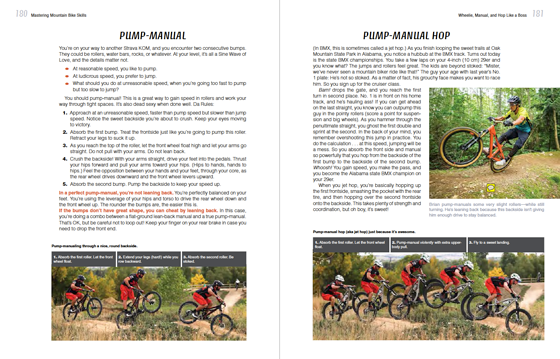 • Get enduro setup, practice and racing tips from pros. Brian Lopes has had an unprecedented career of more than 20 years as a professional cyclist. He has been labeled “undisputedly, the best all-around, world-class cycling athlete” by USA Today. McCormack’s website, Lee Likes Bikes, is a favorite among devoted riders. The Lee Likes Bikes MTB School helps riders worldwide learn the skills he teaches in person. (Check out the site for videos showing the skills explained in this book, as well as more advanced skills.) As the founder and CEO of RipRow, McCormack is proud to be helping riders develop their skills and fitness off their bikes as well as on their bikes.